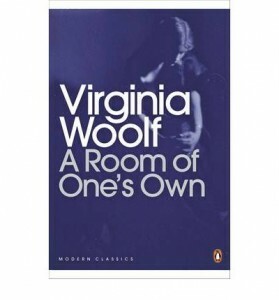 For the uninitiated, Virginia Woolf’s A Room of One’s Own is a seminal feminist text in the form of an extended essay, published in 1929. Although the narrative of the essay is fictional, it is based on real manuscripts of lectures presented by Woolf at the Cambridge women’s colleges. A Room of One’s Own is a gentle, unpresumptuous and important critical text, providing what was at the time an appropriate reflection on the difficulties women writers had in making a place for their gender, as both writers and characters, within an invariably patriarchal literary tradition. As a female who grew up with a librarian as a mother, reading books and spending time in all kinds of libraries has been an integral and normal part of my childhood and life. Reading about a time when women, as a gender, were not allowed in academic libraries affected me deeply. The description of an Oxbridge beadle not letting Virginia Woolf walk on the grass of the Oxbridge grounds (p8), an area reserved exclusively for fellows and scholars (read: men) set a strong symbolic groundwork for the themes discussed in the rest of the essay. I cannot even begin to imagine what kind of writer (or person) I would be today, had I not been allowed the privilege of full access to any kind of reading and knowledge I wanted to gain as a young adult. Virginia Woolf’s world was one of limitations, exclusion and contingencies. A Room of One’s Own delves into complex ideas and deconstructs literary theories, responding with equally multifaceted metaphors, analogies and counteractive questioning. One of the ideas that stuck with me was Woolf’s imaginative construction (for lack of real-life historical female authors to examine) of ‘Judith Shakespeare’, imaginary sister of William Shakespeare. Woolf creates this character for hypothetical purposes, in order to examine and predict how a female of similar intelligence, birth and writing style during the Shakespearean time period would have fared as a writer (p48-52). Of course, Judith’s end is one of tragedy and misery. At a time when intelligence seemed to be thought to come from divine sources or otherwise, Woolf was bringing things like the body, lifestyle and exterior societal influence back into the theoretical discourse surrounding how humans source inspiration and intelligence. Woolf also explores the idea of the female as muse for creativity, but never in the role of creator: ‘…why does Samuel Butler say, “Wise men never say what they think of women?” Wise men never say anything else apparently’ (p31). Although female voices have appeared prominently in the arenas of popular and literary fiction since this observation was made, it can be argued that art produced by men infatuated with women is still valued more highly than books and films written by women, with female protagonists. The trend of female writers using male pseudonyms in order to prevent an exclusively female readership and genre label—for example, JK Rowling abbreviating her first name, and then using a complete pseudonym (Robert Galbraith) to release her latest work of fiction—speaks to this argument. Another clever observation of this pattern is the rise of the Manic-Pixie-Dream-Girl character in modern fiction and film. The MPDG can be seen as the most contemporary version of a ‘muse’ that we have. To the male protagonist, she lacks nothing. To the viewer, however, she lacks agency and autonomy, serving the male protagonist’s narrative and helping him develop as a character without having a story or needs of her own. It seems that today’s male writer/directors are willfully confusing quirkiness with complexity, and using the MPDG trope as a convenient and culturally acceptable alternative to the previous pattern of blatantly using women as furniture for their inherently androcentric narratives. Woolf tentatively suggests various roots for the misogyny and hypocrisy embedded in the attitudes of many male academics of her own age: ‘The poet was forced to be passionate or bitter [towards women], unless indeed he chose to “hate women”, which meant more often than not that he was unattractive to them’ (p83). With a chuckle, I identified the humourous and still relevant undertone woven through A Room of One’s Own from beginning to end: the old ‘male who justifies treating women ill because women dislike him, but women dislike him because he treats them ill’ paradox. Woolf uses a close reading of one of the novels of her contemporaries to discuss the idea of women being portrayed ‘only in relation to men’, in a time where men were ‘terribly hampered and partial in [their] knowledge of women, as a woman in her knowledge of men’ (p82), a trait that still characterises many works of both literary and popular fiction today. Woolf’s lamentations, here, ring as true as ever. It struck me that the kinds of questions raised in A Room of One’s Own can be applied not only to women, but also to any other group or minority who are oppressed or disadvantaged in any field. For example, there are no indigenous-Australian-authored texts included in tertiary education literary syllabi. A Room of One’s Own pins women’s creative disadvantage, for the most part, to circumstance. This is not, however, executed in the form of a cop-out or complete dismissal of women’s ability to change and control elements of their lives. This piece of writing is not an excuse, in essay form. To the contrary, it is an empowering text. For the most part, I thank A Room of One’s Own for re-iterating to me that there are still countless reasons for feminism to exist today. 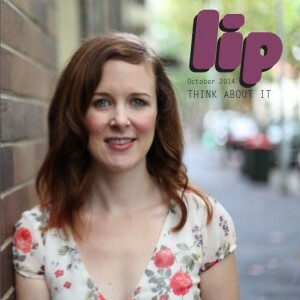 However, for those of us who are lucky enough to live in places like Australia, or in fact anywhere with access to the endless well of knowledge and power that is the Internet, gaining an education and becoming a writer, academic, or any career where your voice will be listened to, is no longer an impossible feat. Of course, sexism in today’s academic and literary traditions still exists. This text, however, acts as proof of the encouraging certainty that progress has been and will continue to be made. Doors are being opened, and opportunities for female writers to publish work and have it taken seriously are more fruitful than ever. As Woolf states: ‘Lock up your libraries if you like; but there is no gate, no lock, no bolt that you can set upon the freedom of my mind’ (p76). For someone who will graduate in a month from a BFA in Creative and Professional Writing, I can appreciate how much power and relevance this statement has to female writers and other creatives. If you are a writing student, this is a book that should be moved decidedly upwards on your to-read list. *I bought my gorgeous special edition pink Penguin classic at Riverbend Books in Bulimba, but A Room of One’s Own is also available for free as a text document on Project Gutenberg. This entry was posted in Books and tagged A Room of One's Own, book, feminism, Grace McCarter, novel, virginia woolf, women, writers, writing. Bookmark the permalink.